This fruit-forward Cabernet offers up lovely aromas of blackberry jam, dark plum and boysenberry with hints of toasted spice and dark chocolate. In the mouth, lush fruit is layered with notes of brown baking spices, vanilla, dark espresso bean along with traces of fresh sage and lavender. 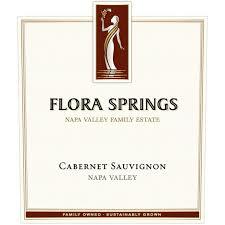 This is a warm, voluptuous Napa Valley Cabernet, packed with fruit but displaying a good balance of oak, tannin and acid.